“I thought Dracula might have left a clue.” Pecan stated, his voice rumbling like thunder. “Why don’t we open the crate?” Lollipop asked, pointing at the crate displayed beneath the glass enclosure. It had been the method of travel implored by the undead fiend. Pecan shrugged and approached the counter. He raised his massive fist into the air. Lollipop looked away to avoid any flying glass. After the shattering sound, she looked back. Pecan Sandie, massive mountain of a man, stood looking towards the entrance, his fist still raised in the air, the glass counter unscathed. “Was that you?” Lollipop Jones asked. Pecan shook his head. “This way.” He said, heading towards the entrance. The mummy put a hand on its desiccated hip and shook a fist at the hulking man. Pecan grabbed the mummy’s outstretched hand and swung the bandaged figure around. Letting go, he sent the Aztec figure crashing into the wall. Pushing free of the wall, the figure stood up, cracking its vertebrae. “You wouldn’t happen to have a book on mummies would you?” Lollipop asked. “Not with me.” Pecan responded. Lollipop Jones, trained by the warrior nuns of the Fighting Sisters of the Closed Fist, planted her feet and prepared to strike down the ancient being. As she drew back to strike, an engine revved from outside and a motorcycle crashed through the glass doors. A man in a blue mask, red cape, and spandex outfit, leaped from the rolling machine and landed on Pecan’s shoulders. Using this new distraction to its advantage, the Aztec Mummy morphed into a bat and flew into the night. “Why did the mummy just turn into a bat?” Lollipop asked, turning back to her partner. “I will deal with you in a moment, bruja.” The wrestler stated. Wrapping his massive hands around the wrestler’s legs, Pecan Sandie tried to pry the man off. “I don’t know what you just called me, but I’m going to assume it wasn’t nice.” Lollipop announced. As Pecan leveraged the spandex clad legs apart, Lollipop delivered an open handed blow to the side of the masked man’s head. His legs no longer locked around Pecan’s throat, the man dropped to the floor. Rolling back to his feet, the wrestler stumbled back trying to regain his balance. “Now why did you attack us?” Lollipop asked again. “Are you not the beast of Frankenstein?” The luchador asked, accusingly. “I saw you there. Do you expect me to believe that you are not the creature?” The wrestler asked again. Lollipop and Pecan exchanged a glance. “What do you think?” Jones asked. “I don’t think I have a book on them.” Pecan offered. Jones gave Azul Gato the address to their offices and told him to meet them there, once he had finished fixing the glass doors. As the sun rose into the sky, the Azul Gato entered the office of the detectives. “That was quick.” Pecan commented. “I know a guy.” Gato replied. Lollipop Jones and Pecan Sandie shared a concerned glance. “We’ve had a lot of monster problems lately.” Jones informed the wrestler. “They are gathering?” Gato asked. “What?” Pecan asked, confused by the luchador’s statement. “I can tell that you are just going to be a big ball of helpful.” Lollipop stated, sarcasm dripping from her words. Pulling out a handful of suckers, Jones began distributing them to the different pockets of her coat. Gato gave a curious look to Pecan. The giant just shrugged his shoulders as he headed for the door. The trio arrived at the crime scene only a few minutes later. Police Chief Alyssandra Mendez greeted them personally. “Azul Gato?” She asked. “Si, Senorita.” He answered with a slight bow. “I am honored to have such a distinguished figure working with us.” The chief replied, her cheeks starting to blush. R. N. Field, a reporter assigned to the follow the chief, seemed overly interested in the wrestler. She looked like she had not slept well in weeks, bags had piled up under her eyes and her complexion seemed to have paled since their last meeting with her. “You of course remember Ms. Field.” Alyssandra stated, acknowledging the woman. “Right this way.” Alyssandra stated as she led the trio, the reported close behind. Laying in the alley was one of the city’s homeless population. The body was a dried out husk. It was obvious that any fluid in the body had been removed. Kneeling down, the two detectives examined the body. They saw no signs of traditional vampirism. “How can we tell about your guy?” Lollipop asked Gato. Checking the wrist, the detectives found a wound. It was about as wide as one of the mummy’s bandages. “Well that answers that question.” Pecan stated. “Chief, this isn’t related to the other incident.” Lollipop said. “There are others?” Alyssandra asked, casting a quick glance at the attendant reporter. “Of course.” Lollipop said, as she walked with the others back towards the street. Clear of the crime scene and the authorities, the detectives started getting more information from the Latino crime fighter. “So it’ll go back to the museum?” Pecan asked. “Those were the three items unearthed with it. It’s only goal will be to collect them, then it may begin human sacrifices or it may proceed to join this conglomeration of terror that you spoke of earlier.” Azul Gato explained. Aztec Mummy getting down to business. “All right, so it would seem that we need to set up a watch for our bandaged boogeyman.” Lollipop stated. “Can I just say that this keeps getting better and better.” Lollipop said. Tossing an empty sucker stick into a nearby trash can, Lollipop retrieved a fresh one from her pocket and put it in her mouth. As the sun sank, Azul Gato, Lollipop Jones, and Pecan Sandie were hiding behind different exhibits, all centered on the other artifacts found with the mummy. “So what’s the deal with this guy?” Pecan asked. “I know right, he seems to have a lot in common with a vampire.” Lollipop agreed. “I don’t even know how that would work.” Lollipop stated, slightly disgusted. “The luchadores!” Azul Gato exclaimed. The detective duo only had one more question after that. “How do we stop it?” They asked in unison. Lollipop Jones formed her delicate hands into fists, popping each of the knuckles in turn. “Not a problem.” She stated. Pecan slid his battle axe from his back. The instrument of destruction was still folded in half, when the time came, the gargantuan brute would unfold his tool. “When he comes, if you will deal with the servants, I will handle the mummy.” Azul Gato stated. Pecan nodded his agreement. “Whatever.” Lollipop replied. The dainty danger did not care who took care of it as long as this one didn’t slip away like the others had. “Bill Murray once fought off an Aztec cult while filming Quick Change.” Pecan said. His voice held that solemn quality that he only got when he was referencing Bill Murray. “You really think now’s a good time for a Bill Murray story?” She asked. “Why did no one put this in the news?” Azul Gato asked, enthralled by the story. Lollipop Jones just groaned. From the front of the museum, glass shattered and shambling footsteps echoed off the tiled floor. Crouching down to keep concealed, the trio of crime fighters waited. The Aztec Mummy came shambling past, wiping something from its eyes. Following behind it were four figures, dressed in Aztec clothing, they looked human enough but were gray skinned. Stretching, the mummy yawned, a sound muffled by its mask, and walked towards the necessary case. Nodding to her partner, Lollipop glided behind the exhibits toward the gray beings. Waiting until she was in position, Lollipop gave Azul Gato a thumbs up. The luchador leaped to the top of his hiding place and let out a cry. “Aztec Mummy you have traversed the laws of nature. 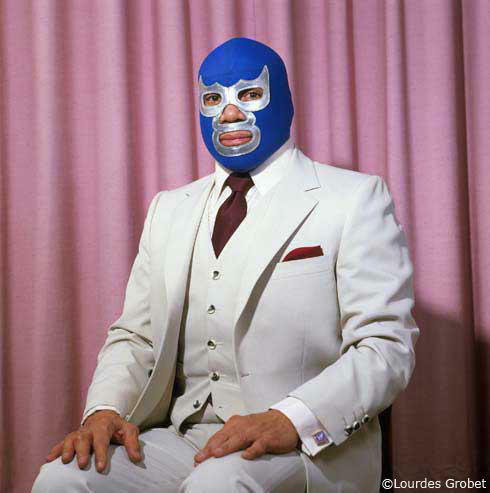 I, Azul Gato, have come to see that you are returned to your slumber.” Finishing his speak, the wrestler rushed off his makeshift podium and clothes-lined the mummified menace. Standing up, Pecan Sandie unfolded his axe with the flick of his wrist. The servants of the mummy were not sure who to engage. While they were caught in their indecision, Lollipop Jones crept up behind one of them and delivered a crippling blow directly to the spine, like a chiropractor that breaks backs rather than fixes them, so not really like a chiropractor, well maybe a bad chiropractor, . . . you know what we’ll go with like a chiropractor, we can discuss what type of chiropractor later. Turning at the shriek of their companion, the servants gave Pecan Sandie opportunity to rush them. A feral grin crossed Pecan’s lips as he buried the axe into one of the servant’s chests. The figure collapsed. His partner drew an obsidian blade from his belt and charged at the unarmed Pecan. Although, a man that can crush pecans with his bare hands is not exactly helpless. Grabbing the man’s wrist, keeping the knife from cutting him, Pecan swung the man over his head and onto the floor. Not letting go, Pecan repeated the action several times. When he let go, the figure was already returning to the realm it had been summoned from. His battle axe was now lying on the floor. Grabbing the weapon, Pecan folded it back up and slid it onto its place across his back. He watched as Lollipop Jones dodged several swipes of an obsidian blade, wielded by her opponent. Ducking under a vicious slash, she delivered an Uber-Death Punch, the greatest technique of the Fighting Sisters of the Closed Fist, to the servant’s stomach. As all of its bones were atomized and the boneless mass collapsed to the floor, Pecan turned to see how the Azul Gato was faring. Lifting the Aztec Mummy into the air, Azul Gato dropped it back, executing a perfect suplex. Pecan thought that the mummy might be protesting but the mask kept its voice muffled. Jumping onto an exhibit case, the wrestler launched himself into the air and dropped an elbow onto the mummy’s sternum. The downed monster curled into a ball once the luchador moved. “It is time to end you.” Azul Gato proclaimed. Grabbing the Aztec Mummy by the legs, the luchador dragged the fighting figure across the floor towards a large stone slab. The detectives assumed it was his intention to drop the stone onto the mummy and break its bones. “Freeze! I-N-S.” A voice shouted from behind them. Raising their hands, Pecan Sandie and Lollipop Jones stood, as several men in navy blue nylon windbreakers with the letters written in yellow along the back, converged on them. “We must destroy . . .” Azul Gato started as he was tazed. 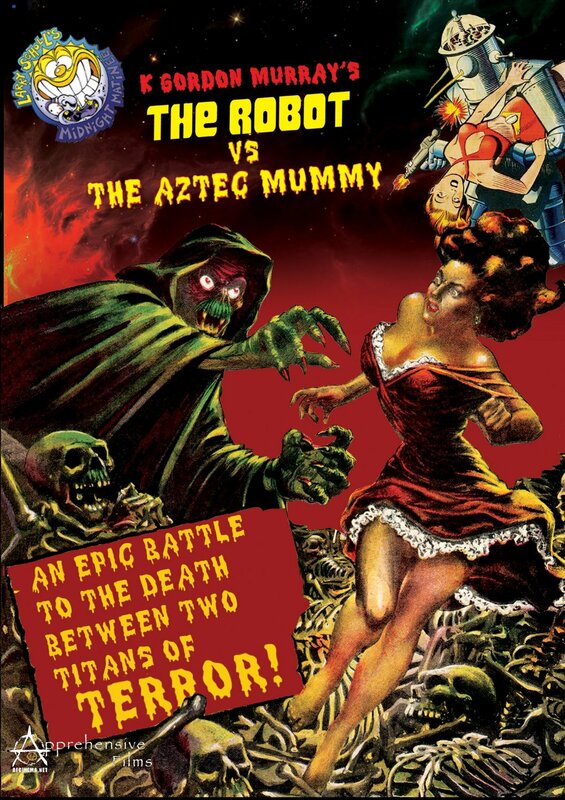 In the clutches of the electric barbs, the luchador lost his grip on the mummy. Rushing away, the creature broke open the case and grabbed the artifacts. As the windbreakered interlopers shouted orders at the mummy, it turned into a bat and disappeared into the dark recesses of the museum. “You’ve got to be kidding me.” Lollipop Jones exclaimed. Outside the museum, a bat emerged from the broken doors and fluttered into the night. R. N. Field stood in the shadows, her phone in her hand. “Yes, master. The mummy has escaped. Azul Gato has been apprehended as you requested.” The reporter’s voice was heavy, as if she were talking in her sleep. Hanging up the phone, she looked around wondering why she was at the museum. Confused and worried about the sleepwalking she had been doing lately, the reporter went back to her car. As the car drove off with the luchador, Pecan Sandie and Lollipop Jones stood in front of the museum. “I don’t like this.” Lollipop said to Pecan. “I think we can find them, but I’m not sure what to do if we do. It’s not like we’ve had the best of luck stopping these guys.” She stated. “I’m going to find it and I’m going to destroy it. I don’t know how yet, maybe dynamite.” Pecan stated. Lollipop knew it was a quote from Bill Murray’s film, The Life Aquatic with Steve Zissou, but it seemed oddly appropriate. “Come on, we’ve got work to do if we’re going to stop this gathering of theirs.” Lollipop said. The duo walked away, knowing that if they didn’t stop the gathering something terrible would befall the city.